“Muhurat Trading timings would be conducted between 17: 45 hours and 18:45 IST on the day (5.45 pm to 6.45 pm), as mentioned in the circular”. WHAT IS MAHURAT OR MUHURAT TRADING ? Mahurat trading (also pronounced Muhurat) is the stock market trading activity for an hour on the auspicious occasion of Diwali (Deepawali). This derives from Gujarati culture(who are most dominant people in Dalal Street) who do similar trading on hours of Diwali. Muhurat trading in the stock market happens for about an hour on Diwali day. Usually, this trading session is held in the evening. It is a symbolic ritual which has been performed for years. 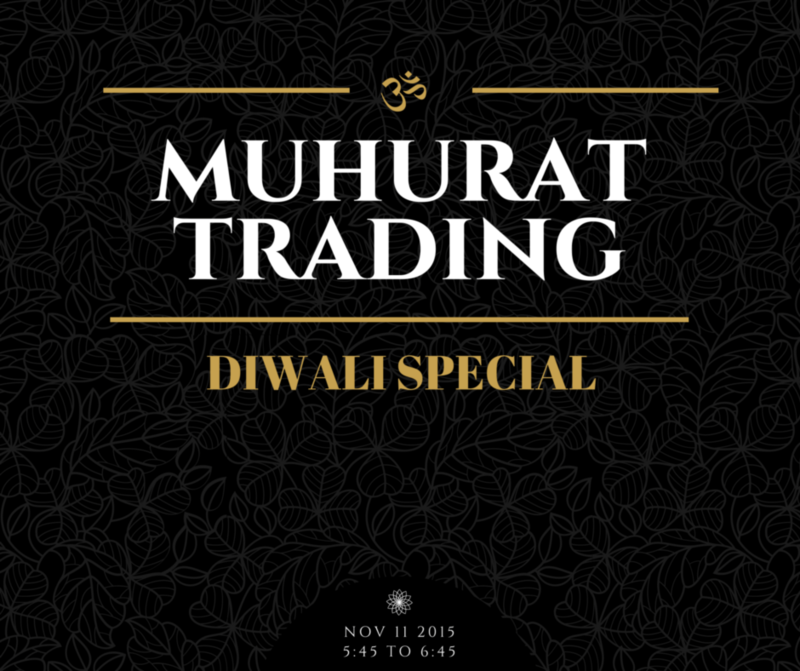 Muhurat trading is traditionally an occasion for an auspicious beginning to the traditional New Year. Investors place token orders and buy stocks for their children, which are held for the long term and sometimes never sold. Traders normally book their intra-day profits, however small they may be. DETAILS ABOUT MAHURAT TRADING ON NOV, 11 2015. Trading would be conducted between 17: 45 hours and 18:45 IST on the day (5.45 pm to 6.45 pm), as mentioned in the circular. All trades executed in the session will result in settlement obligations. Usually, the sensex closes on upside on the muhurat trading day. The probability is in favor of upside close due to investor sentiment and celebration mood. Why picking Stocks only on Brand and Capitalization fails ?